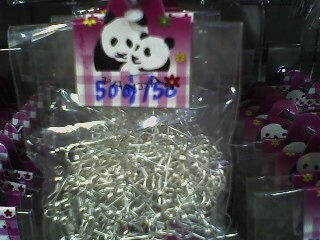 Most of the findings in the bead store we found in Chiang Mai were in pre packaged PANDA brand wrappers..Wooo Hooo! Lokks like a greatttttt time. LOTS OF SNOW AND WIND HERE. Our road is one way after the snow-plow came thru this morning. Enjoy the weather and all of the sites a trip of a life time!!!!! Cute. A great way to get people to buy it.